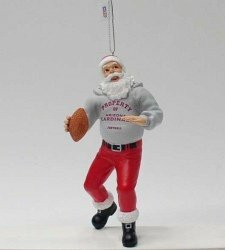 This product features Santa wearing a hooded sweatshirt with the team logo. Stands 5″ tall and is made of resin. It is officially licensed by the NFL and will come in its original gift box.